Give a bucket of compost! Good Sweet Earth is making it easy for anyone to support community agriculture in West Michigan. We've partnered with two amazing non-profit organizations-- Benjamin's Hope of Holland, MI, and SECOM Resource Center of Grand Rapids. Through this partnership, you can purchase buckets of vermicompost at a reduced price and donate it directly to the gardens at Benjamin's Hope and SECOM. Benjamin's Hope is a "live, work, play, worship" community in Holland, MI, designed to address the multifaceted needs of adult individuals and families affected by autism and other intellectual and developmental differences. Their on-site community garden not only provides hands-on gardening experience for the community they serve, it provides food for their residents and an opportunity to sell their goods at the Benjamin's Hope farm stand. 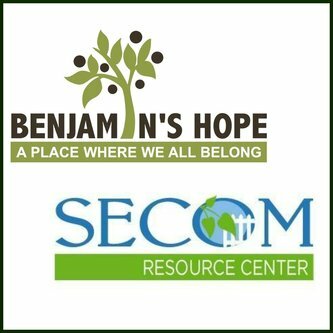 SECOM Resource Center, in southwest Grand Rapids is giving help and building hope for low income families and individuals through education, empowerment and economic opportunity. They provide services to more than 9,000 neighbors each year. Some programs they offer include a healthy food pantry, market stand, free preschool, fitness classes and health services. They also have a large community garden which provides neighbors with the tools and resources they need to successfully grow their own food. The garden cultivates meaningful relationships while the participants receive educational workshops, starter plants, and garden coaches. Benjamin's Hope and SECOM are always in-need of quality soil amendments to help their gardens reach their full potential. Give the gift of organic gardening by donating a bucket of our Living Worm Compost for just 5 bucks. In addition, for every 50-bucket donation, we'll donate $50 to that organization's general fund.